The Nantucket Sound is a beachfront playground for the privileged and elite, where the sunny days are filled with scenic bike rides, backyard picnics, and bonfire parties. But all Ren Kingston—a visiting Brit still reeling from heartbreak—really wants is a quiet summer as a nanny for one of Nantucket’s wealthy families. Getting acquainted with handsome Jeremy and his young group of trust fund, private school kids was not part of the plan. Neither was befriending the local bad boy whose reputation is more dangerous than charming. After a dead body is found next to The Sound’s postcard-perfect view, Ren starts to wonder where the real threat lies. Because it’s becoming clear that her newfound “friends” are much more than they seem. They’re hiding secrets. Secrets that Ren wants no part of. 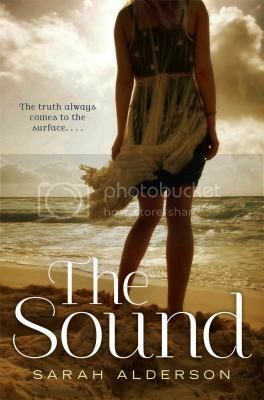 The Sound is a story about a British girl named Ren, who, while recovering from a breakup with her boyfriend, comes to Nantucket to be a nanny for a wealthy family for the summer. After getting acquainted with a group of young, privileged kids her age, she realizes that with these kids, there’s a whole lot more than meets the eye. Ren was a really interesting character. She was sarcastic and humorous, I loved her attitude. She was also British, and I haven’t had the privilege of reading many main characters that were British. She loves music with a passion and even blogs about it. While there are some parts of the story that made me want to shake some sense into Ren, she definitely had a good head on her shoulders. The bad boy in the story, Jesse, is definitely swoon-worthy. I wondered at first if I was going to like him or not, but I ended up really liking him. Though he has a bad reputation, Ren sees something in him that no one else does, and befriends despite everyone warning her not too. I love his protectiveness, not only of his family, but of Ren as well. Swoon! The novel has a diverse group of secondary characters as well; some that you will really like, and some that you will really dislike. Far too many to mention by name, so read the book for yourself to see who you like and dislike! The book starts off with a bang, and keeps on going from there. Within the first few pages I was completely hooked. I really loved the mystery in this book. There were SO many people that I kept picking as the ‘bad guy’, and just when I thought I had it narrowed down to one person, something would happen that would make me suspect someone else. Everyone was a suspect!! It definitely kept me guessing, and kept me hooked to the story. I read this book in just a few hours time; I just couldn’t put the book down until I figured out what was going on. Overall; The Sound is the first book I’ve read by Sarah Alderson, but it definitely won’t be the last! She managed to draw my in with this mysterious story, and had me hook to the pages throughout. Now that I’ve gotten a taste of Alderson’s writing, I’m really looking forward to reading some of her other books, starting with Hunting Lila! I've been wanting to read some Sarah Alderson but I can't ever seem to find her books when I am looking for them. I didn't know she had another book out and this sounds interesting. I wouldn't have expected it to have a mystery to it, I really need to keep a list with me so that I can really look for these books!